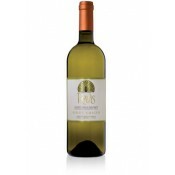 Fresh and fruity wine, with a clear aroma of apple, pear and exotic fruit. 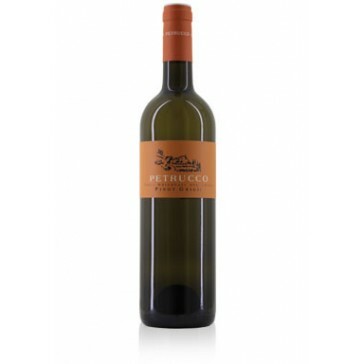 It is produced by a small, family-owned winery, settled in the hearth of Colli Orientali del Friuli. Straw yellow with light copper tones. Distinctive apple, pear and exotic fruit flavour, particularly banana and pineapple. 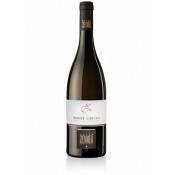 Fill-bodied and persistent in the mouth, it evolves in a warm and fruity finish. 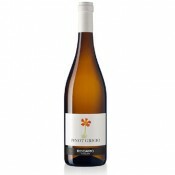 It comes from the vinification of Pinot Grigio grapes, picked manually and handled with care, in order to preserve their integrity up to the pressing and fermentation, which takes place under controlled temperature. The wine thus obtained remains on the lees in stainless steel vats for about 6 months before being bottled. The Petrucco winery is situated in the heart of DOC area Colli Orientali del Friuli (Eastern hills of Friuli region), where sunny and gentle slopes have been the ideal terrain for viticulture since ancient times. The estate spreads over a total area of 35 hectares, with vineyards covering about 25 hectares. Because of the focus on high quality the average annual production consists of about 100.000 bottles, as a result of an intentionally low yield. Petrucco wines, all monovarietals, are the clear expression of our land and come out of the thriving marriage between ancient knowledge and modern technology. Ideal for appetizer, indicated also for risotto, soups, white meat, medium-ripe cheeses. Medium-aged wine. The bottles should be laid horizontally in a dark, cool and humid cellar.